Istra Inspirit will take you to a 4 month long journey through Istria, Croatian biggest peninsula. But mind you, it's not just any journey – it's a time travel adventure! The festival will take you through 3000 years wide time span – from 1000 BC to 1921 AD – encompassing 9 historical events and legends, from the age of giants and Roman arrival to the Middle ages, the Venice Republic, and Austrian-Hungarian Monarchy period; taking you to old Istrian castles, Roman buildings, cities' old parts and various museums – from the coast of Blue Istria towards interior and Green Istria. 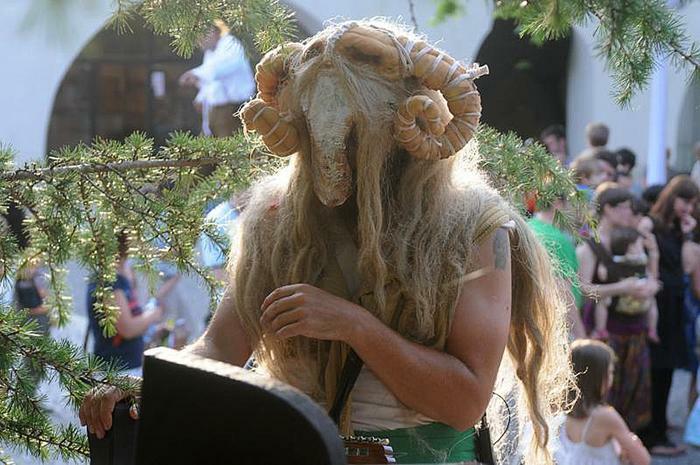 Moreover, at Istria Inspirit festival you won't be just an observer, but an active participant. You'll get a chance to have dinner with ancient fishermen of Rovinj, meet giant Veli Jože in Pula, Mare the Witch in Poreč, Istrian Romeo and Juliet in Savudrija, visit Miner's Republic in Labin and experience not only a great summer holiday but a unique magical adventure. Each historical event and legend will be enacted 3 times, which finally amounts to 27 performances! As far as the tickets are concerned you can book them online and depending on the performance they're around 13 – 26 €. Istrian history, myths and legends will be revived at authentic locations and scenery. Moreover your experience of old Istria will be enriched with specially prepared dishes. Roman feast, fisherman's menu, romantic breakfast, miner's meal, Renaissance feast and Jules Verne's dinner will lure you with flavors and smells of Istria.